When beginning your digital marketing career, one of the first things you’ll hear people talking about is blogging. On top of creating amazing content that you can share with your audience—content that’s meant to help them with their own problems, while also showing that you’re around to fix those problems as well—you can successfully drive traffic back from multiple sources right back to your website with something as simple as a blog post! However, there’s a variety of ways that people can go about starting their blogging career, and finding your best blog content strategy can be a little tricky in a field that’s so highly populated with content that could be similar or even identical to yours. That’s where Benjamin Dell comes in. The founder and CEO of the company MissingLettr, which is a software that takes long-form blog posts and turns them into social media snippets, Ben is here to help you find the beginnings to your blog content strategy. By utilizing the power of social media to spread your message and milk your blog posts for all the good content that’s inside for long-lasting interactions with your audience, Ben can tell you the top three principles that are necessary for making high value content and sharing it with a massive audience to build traffic back to your website. Before we can get into the details of creating your blog content strategy, however, we have to talk about The CLICK Technique! 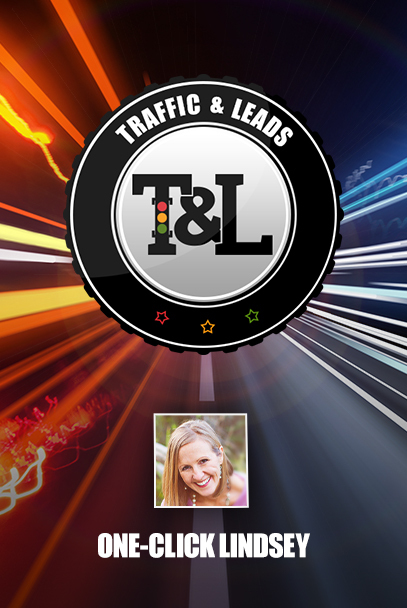 A five-day crash course of my own invention, The CLICK Technique is designed to help business owners who find that their websites are sitting dead in the water, generating no traffic or leads. By following the steps of each letter in the word “CLICK”, I can assure you that you’ll start seeing the results you want, as well as start to generate high quality leads in the process! The results speak for themselves, so make sure you check out this amazing free program as soon as possible. When talking about a blog content strategy, we’ll be focusing on the first “c” in the word “CLICK”, which stands for curiosity. Half the battle is generating traffic back to your website based on the content that you create, and the best way to get the attention of your potential audience is by piquing their curiosity. If you make people curious about what you have to offer, the chance that they’ll click through to your website after an initial search and readthrough is much higher! Making them wonder is the best way to bring them right to your door. Creating your own blog content strategy works in the same way! Since you’re in charge of what you’re writing, generating topics and long-form blog posts that make people curious about what you can do, as well as how you can help them, is the best way to get them to visit your website. Whether it be through an ad campaign that mentions your blog posts or social media snippets that you share across multiple social media platforms, creating your content to fit the needs of your audience is the best way to not only connect with them but also to bring them towards you and the services you can offer. Now that we’ve got the basics of creating your own blog content strategy covered, figuring out where to start and how to start becomes easier to talk about. Blogging is important for a multitude of reasons, one of them being that blogging and writing long-form content is a surefire way to connect and get in touch with your audience. By directly answering questions they’ve asked, you’re providing them with a solution to their problems, as well as showing that you’re listening to their concerns, and are willing to go the distance to address said concerns. Additionally, when you create long-form content, you give yourself plenty of chances to share that content across various social media platforms. By taking snippets, quotes, and small blocks of text, you can share bits and pieces of your blog post in order to get people interested in what the overall article is about. From there, you can create a variety of advertising campaigns that revolve around sharing chunks of your blog posts on things like Facebook and Twitter. 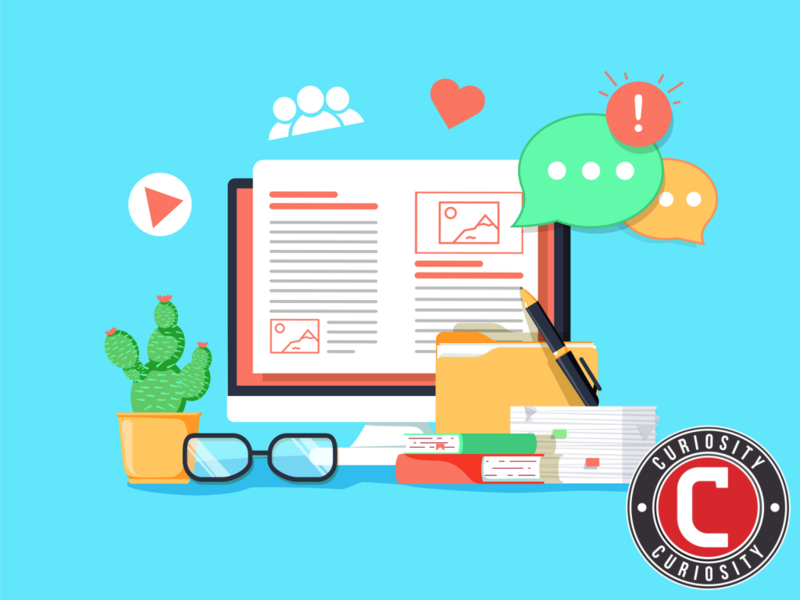 By including things like relevant pictures, graphics, and text as well, you can get people’s attention without giving the entire article away, enticing them to visit your website for the full story! 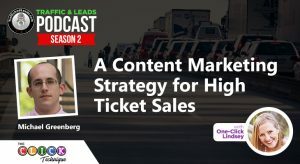 That’s how high-quality traffic is generated, and by providing your own content, your audience is sure to stick around because of what you can write and what you can offer. Also, when sharing and splicing this content up, it’s important to note that you can pinpoint the high-quality parts of your blog post by focusing on things like bolded fonts and header titles. By following simple text clues, you can figure out which snippets are best for advertising and sharing, and what will make people want to read more in the future. The most effective way to generate your own blog content strategy is to get your ideas out of your head, put them on paper, and enact them to the best of your abilities. Also, never be afraid to reach out to your audience for help and ideas, like MissingLettr does with their guest blog posts from clients and audience members! And, of course, you can’t forget these 3 important principles of blogging, which will make you generate the best content possible! The number one thing you have to remember when forming your blog content strategy is that the content of what you’re writing about is the key. 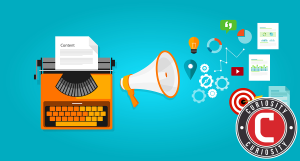 You need to start with writing great, long-form content. Don’t cut corners, either—create content that you know your audience is going to find insightful and valuable. Take time to craft it as well. Though you might think that drafting four blog posts is better than drafting one, the four blog posts won’t matter if they aren’t good quality. It’s better to have one cohesive piece than four pieces that don’t exactly get the job done. Additionally, after you’ve published your initial blog post, any blog content strategy you pin onto the process has to amplify what you’re already doing. It also needs to serve the basic principle that you need to get back to creating amazing content. Every time you write your own content, you don’t need to roll out a manual. You’ll get bored with what you’re doing, and the time it takes you to get back into writing your initial posts isn’t worth it. It’s not serving you, and it’s preventing you from writing what you need to be writing. Instead, focus on what you know works: long-form blog posts with a topic that drives home a point for you, and for your audience. This is what they’ll come for, and this is what they’ll stay for. Don’t hinder yourself, and you’ll be amazed by what you can create! When starting your blog content strategy, you want to build trust, not erode it. When you’re getting your content into the social space, it’s tempting to wring something short. However, short content can sometimes read in a way that you’re not intending. People could think it’s flimsy, lackluster, and slightly spammy in the way it’s presented. Because of that, your content could end up backfiring against you, and when you’re trying to use your content to build more traffic back to your website, people thinking that what you have to offer is subpar will only ever hurt. Instead, you want to make sure the content you create is done in the right way. Come up with a sequence of social content to promote your post, which should be (as stated above) in long form blog posts. Make sure each social sequence is unique, and schedule them out to post in the future over a long period of time. That way, you can get the most out of your blog post long after it’s been published, and its value doesn’t diminish one bit! A good way to keep track of this content is by making a basic spreadsheet that’s full of 9 to 12 points. These points will represent content you can splice up and post over the next 12 months since you’ll want to post once a month about this particular piece. Once you’ve completed your points, compose a tweet for each of these points based on the original blog post. This process only takes about 5 minutes, and once you’ve completed it, you have snippets to post for a year, once a month, based on the content you’ve already written! That’s getting the most out of your writing, and that’s how you generate traffic regularly back to your website with your blog content strategy. We’ve talked about this before, but it can never be overlooked. In order to stay on top of your blog content strategy, you must be consistent! When you harness the power of consistent posting, you get the real effect and power of what your content can do and how you can generate a larger audience with what you have to offer. There’s a lot of ways to be consistent, but all of them require a minimum of one post relatively close to another one. For example, stockpiling content to post once a year won’t do you any favors. At the minimum, you want to be posting your content once a week or even once a month if weekly isn’t feasible. By making sure you have a regular schedule to write and publish your blog post, you’re showing up consistently in the inboxes and timelines of your audience! Reminding them that you’re still around and that you’re still providing the content they want to see affirms that your bond with them is strong. Additionally, don’t stress yourself too much on the amount of time it takes you to write the content you need. By automating one part of the process, it frees you up to do something else, and when you have that free time, you end up thinking about what you should be doing instead. If you’re saving time on marketing, does that mean you should be spending more time in a different way on marketing? That sort of stress can pull you away from your blog content strategy, and the number one thing you need to remember is that your content is key. Don’t spend 80% of your time writing. It’ll drain your energy and your creativity, and when you finish you can’t find the energy to write your next blog post. Be self-serving, and remember that being on time and generating good content is more important than spending a certain amount of time writing what someone else tells you is necessary. Overall, you need to remember that your blog content strategy needs to revolve around the quality of your work and what you can provide to your audience based on that. Long form blog posts are what’ll get you noticed, and sharing snippets of those posts can easily get the attention of clients old and new. Making them curious about what you have to offer will get that click through you’re looking for, and generating traffic back to your website is the icing on top of the cake! 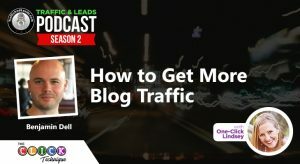 By staying consistent, making sure that you’ve built up an amazing bond with your audience, and providing content that’s valuable and insightful, you’re ensuring that your blog content strategy is effective in providing people with useful information, as well as driving traffic back to your website. Don’t forget—stay on schedule, stay on quality, and you’ll see results!